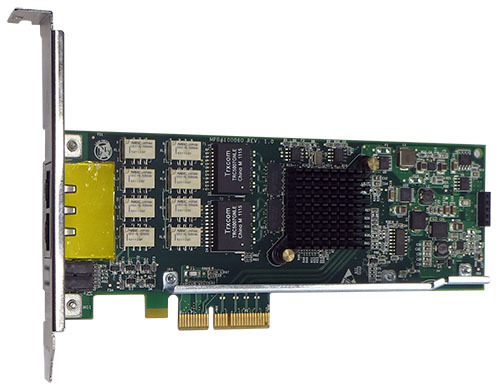 Silicom’s Dual Port Copper Gigabit Ethernet PCI Express Bypass server adapter is a PCI-Express X4 network interface card that contains four ports on a PCI-E adapter. 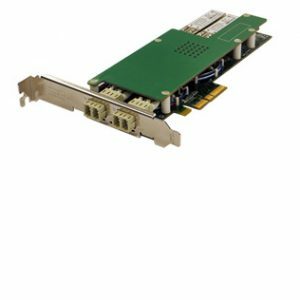 Silicom’s Dual Port Gigabit Ethernet Bypass server adapter supports Normal, Disconnect and Bypass modes. In Normal mode, the ports are independent interfaces. 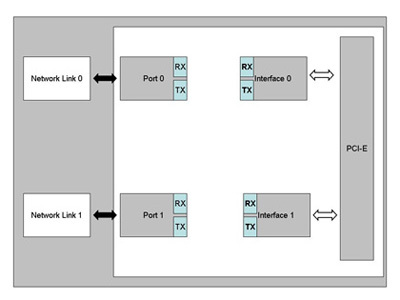 In Bypass mode, all packets received from one port are transmitted to adjacent port. In Disconnect mode, the adapter simulates switch / rout cable disconnection. 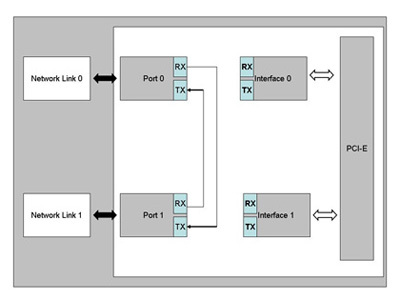 In Bypass mode, the connections of the Ethernet ports are disconnected from the system and switched over to the other port to create a crossed connection loop-back between the Ethernet ports. 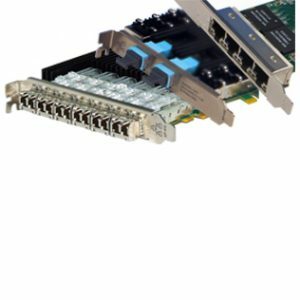 Silicom’s Dual Port Copper Gigabit Ethernet PCI Express Bypass server adapters include an on board WDT (Watch Dog Timer) controller. The adapter’s software drivers or software application can write commands to the on board WDT controller. The adapter’s software drivers, WDT controller and the Bypass circuitry provide an interface that control and manage the mode of the adapter. 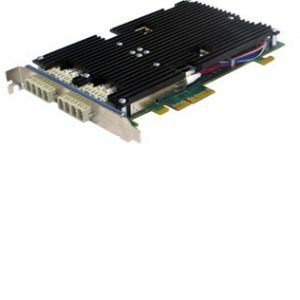 Silicom’s Dual Port Copper Gigabit Ethernet PCI Express Bypass server adapters are based on Intel 82580DB Ethernet controller. WDT Interval = (2^wdt_interval_parameter)*(0.1) sec. Auto negotiation: Auto-negotiation between Full duplex and simplex operations and between 10Mb/s 100Mb/s speeds and duplex 1000Mb/s. Data Transfer Rate: 1000 Mb/s, 100 Mb/s and 10 Mb/s in simplex mode per port. 2000Mb/s 200 and 20 Mb/s in full duplex mode per port. Silicom’s Dual Port Bypass adapter supports Normal, Bypass and Disconnect modes. In Normal mode, the ports are independent interfaces (see Figure 1: Normal mode, one Bypass pair is illustrated). Silicom’s Dual Port Bypass adapter supports software programmable to select Normal, Bypass or Disconnect modes. Silicom’s Dual Port Bypass adapter supports Disable Bypass, Disable Disconnected capabilities; hence, if those adapters receive Disable Bypass capability / Disable Disconnect commands, the adapter does not bypass / does not disconnect its Ethernet ports, The Disable Bypass Capabilities are reserved also after power off. This feature enables to emulate a standard NIC. Silicom’s Dual Port Bypass adapter supports Disable supports setting the default mode at power up and power off. Those setting are reserved also after power off.